The internet attorneys of The Williams Firm have significant experience and expertise in the acquisition and protection of intellectual property on the internet. The Firm represents a wide variety of traditional and high technology companies concerning internet matters. To consult an internet attorney contact our Walnut Creek office today. 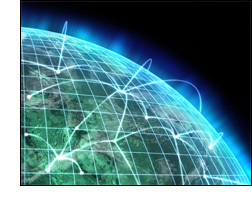 The Firm has experience in both transactions involving the internet and litigation of disputes concerning the internet. The head intellectual property attorney of The Williams Firm taught intellectual property courses at law schools, was the founding president of the Intellectual Property Section of the Contra Costa County Bar Association and has over 20 years of intellectual property experience. The Firm’s internet attorneys also represent Internet clients in all aspects of civil litigation and dispute resolution in all courts, government hearings, arbitrations and mediations. The intellectual property litigation attorneys of The Williams Firm all have over 20 years of litigation experience. Contact an intellectual property attorney at The Williams Firm.